SINGAPORE's largest employer is stepping up efforts to woo engineering talent, as the country needs 1,000 more engineers each year for the next five years to keep public infrastructural projects going. The Straits Times understands that the Public Service Division (PSD) is reviewing the pay and career progression of its engineers and will inject more variety into the work they do, in order to attract and retain such talent. The PSD said that it has, for instance, come up with a structured programme to rotate its engineers to various agencies for greater exposure. More design and operations work will also be introduced so that its engineers do more hands-on work instead of managing projects. "We recognise that the young enjoy new challenges through variety and change, so we are redesigning some of our engineering work," said its spokesman. 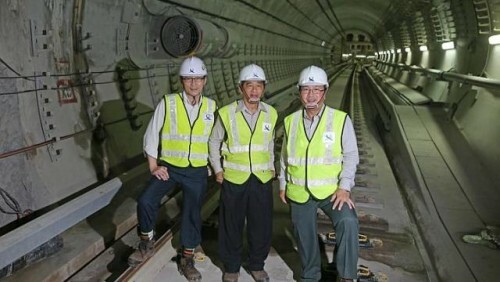 Singapore needs more engineers as it has many infrastructural development projects, such as the underground rock caverns and the airport and port, she said. But there is a general decline in interest in science and engineering among young people around the world, in places including the United States, Britain, Australia and Singapore, she added. "This has resulted in fewer engineering university and diploma graduates pursuing careers in engineering," she said. There are 12,000 public-sector engineers, but no official data on the number in the private sector. The average monthly resignation rate for architectural and engineering services is 2.1 per cent for the second quarter of this year, latest figures from the Ministry of Manpower show. This is higher than the 0.7 per cent for the public administration and education sector, and the 1.3 per cent for health and social services. Industry players say a number of engineering graduates pursue unrelated careers, such as banking. This year, 15,400 people graduated with engineering degrees and diplomas. According to the Ministry of Education, the majority of engineering graduates who are employed in full-time jobs now are in jobs related to their course of study. The PSD also intends to poll 1,500 engineering undergraduates or graduates, who either did not pursue the profession or who did but joined the private sector. The survey aims to find out how they view the engineering profession, and identify factors which attract potential recruits and retain existing ones. Industry experts say things are slowly looking up for engineers. Salaries have risen by between 12 and 16 per cent over the past five years, said Mr Joe Eades, assistant honorary secretary at the Institution of Engineers, Singapore. Surveys show that the average monthly pay of engineering graduates who started work last year is between $2,800 and $3,500. Mr Eades said that five of the top 10 disciplines offering the highest graduate starting salaries are engineering disciplines in Britain, which lacks engineers. "This has led to many more of the brightest students choosing to study engineering, and we may expect a similar trend here," he said. Universities here are already seeing more top students applying for engineering courses. The PSD thinks its new incentives will have a far-reaching influence. "We expect the measures to have some upstream impact on the interest in the study of the sciences. For example, we expect that more students may choose to study science subjects in secondary school, since they are foundational to studying engineering at the tertiary level," said its spokesman.